Q: Do you provide samples 9 is it free or extra 9 A: No, we don't provide samples, we we can offer you some di s counts depen d s on your order quantity. OEM is accepted with your brand lase in the products by our laser machine and lab el of the OEM brand would be st uck on the box before goods shipped out. Q: What the machine do you adopt to produce the products 9 A: We use the walter which i m ported from Germany. Huge sales amount in local market guarantee that we can purchase at the best price from abroad factories. Q: Can we get a discount if our ordered quantity is big enough9 A: Yes, definitely right. We can offer you our best price and will give you a discount if your ordered quantity is big enough. 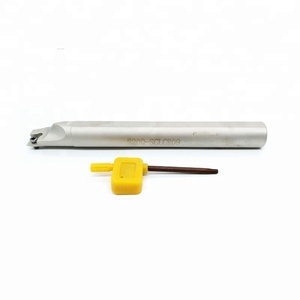 ISO9 DIN4974 GOST2112 Carbide brazed tool bit Internal turning tools Size Diamension Carbide material h b d (&oslash;d) n L l r D min 808 8 8 8 3 125 40 0,2 14 P 1010 10 10 10 4 150 50 0,2 18 P10 1212 12 12 12 5 180 63 0,2 21 P20 1616 16 16 16 6 210 80 0,2 27 P30 2020 20 20 20 8 250 100 0,4 34 2525 25 25 25 10 300 125 0,4 43 M M10 3232 32 32 32 12 355 160 0,8 52 &oslash; 08 8 8 3 125 0,2 14 &oslash; 10 10 10 4 150 0,2 18 &oslash; 12 12 12 5 180 0,2 21 K &oslash; 16 16 16 6 210 0,2 27 K10 &oslash; 20 20 20 8 250 0,4 34 K20 &oslash; 25 25 25 10 300 0,4 43 &oslash; 32 32 32 12 355 0,8 52 Send your inquiry in the below, click "send" now ! our main markets is Europe, USA , south American, south korea and South Africa . You are welcome to place an order from our company! Contact us: Welcome to place orders in our company! 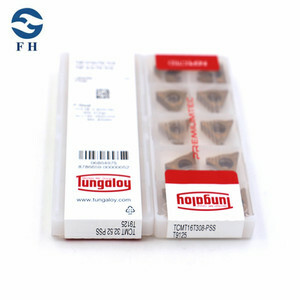 We can send the samples for free,but customer should pay for the freight cost. For the small order,you need to pay the whole payment before production. As long as you keep the same design there is never any new molding fees. 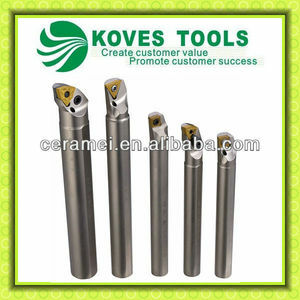 , our company has been to the biggest cemented carbide products supplier in Henan Province. We have a wide product range, the products have the characters of high quality, high precision and ware well. 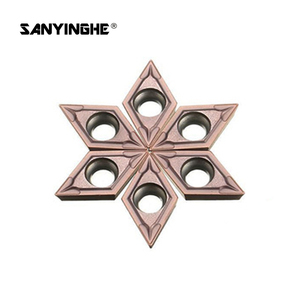 The products are widely used on various industries, such as metallurgy, machinery, mine, petrifaction, electronic, textile, furniture industries, etc. 3. 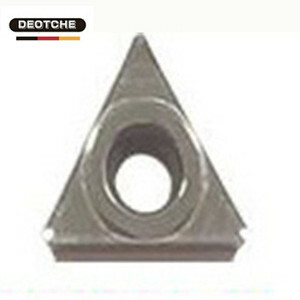 Widely used in industry of metalworking machinery 4. Various types and aslo can be made as per client's request. 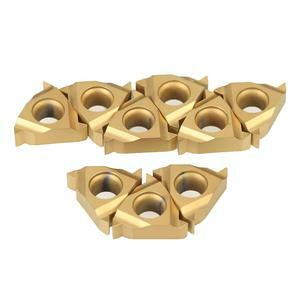 We are professional manufacturer and exporter of various types and grades of cemented carbides inserts including ISO turning inserts, Aluminum turning inserts, Profile turning inserts, Heavy turning inserts, Cermet inserts, PCBN&PCD inserts, Parting ,grooving inserts, Milling inserts and so on . 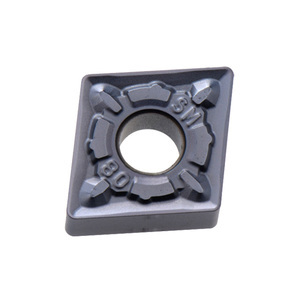 We are professional manufacturer and exporter of various types and grades of cemented carbides inserts including ISO turning inserts, Aluminum turning inserts, Profile turning inserts, Heavy turning inserts, Cermet inserts, PCBN&PCD inserts, Parting ,grooving inserts, Milling inserts and so on . 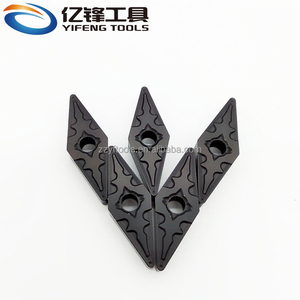 6 YRS Wenling Hongtai Tools Co., Ltd.
3 YRS Dongguan Yingsihai Precision Mould Co., Ltd.
Alibaba.com offers 23,145 internal turning tool products. About 95% of these are turning tool. A wide variety of internal turning tool options are available to you, such as free samples, paid samples. 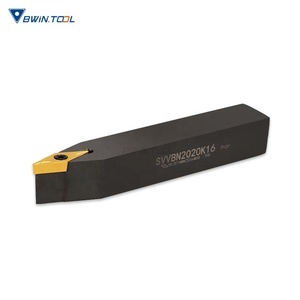 There are 23,145 internal turning tool suppliers, mainly located in Asia. 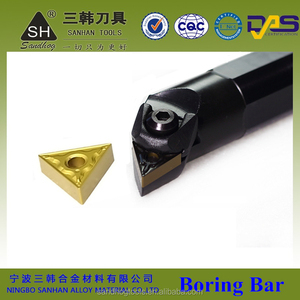 The top supplying country is China (Mainland), which supply 100% of internal turning tool respectively. Internal turning tool products are most popular in Mid East, Southeast Asia, and Western Europe. You can ensure product safety by selecting from certified suppliers, including 3,593 with ISO9001, 381 with Other, and 108 with ISO14001 certification.